Gouache, chalk and wax crayon on paper mounted on cardboard. 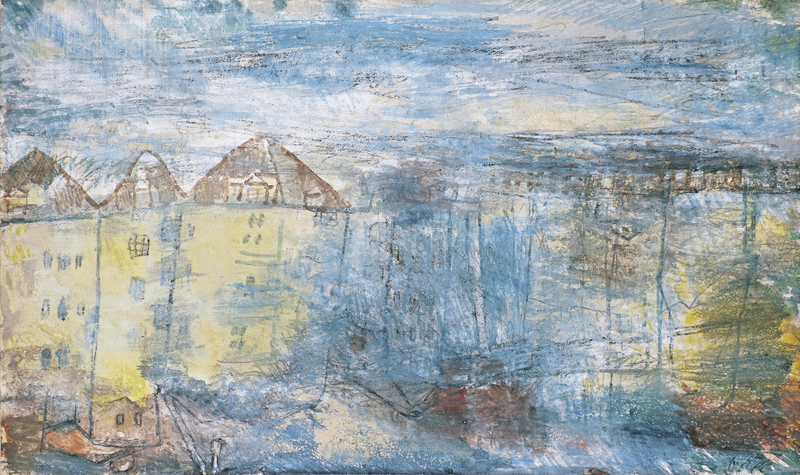 Paul Klee is hailed as one of the great twentieth-century creators and theoreticians. His talent and originality are so personal that he cannot be associated with any particular movement or school. Although his constant changes of style, technique and theme evidence his deliberate avoidance of any artistic trend, during his youth in Munich he was in close contact with the intellectual milieu of German Expressionism. He knew Jawlensky, Kandinsky, Macke and Franz Marc, and even took part in some of the exhibitions of Der Blaue Reiter. Indeed, the Thyssen-Bornemisza Blick auf einen Platz (Looking onto a Square) was shown in this group’s second exhibition organised by Hans Goltz in Munich, in February 1912. 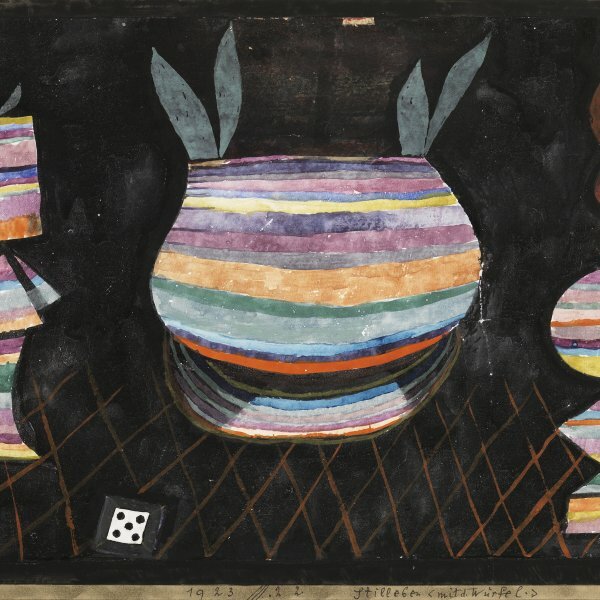 Like many of the works Klee painted before the First World War, the present watercolour shows the artist’s interest in drawing. 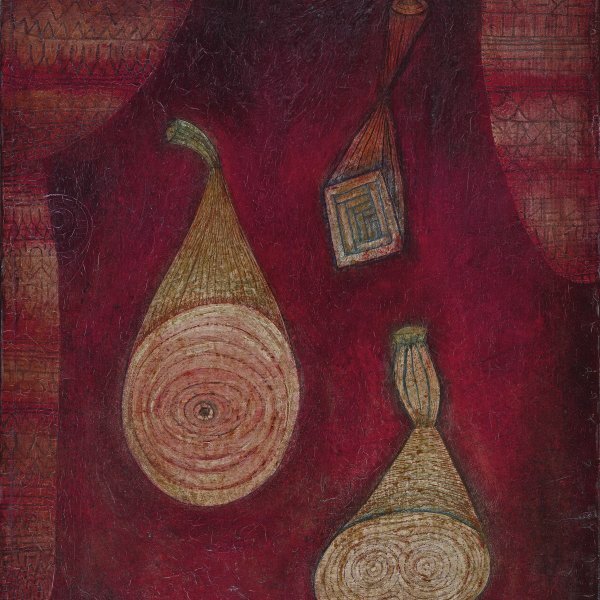 Using a naïve style close to what the Surrealists would later call automatism, he develops a modern conception of drawing. Although the facades of the houses in a town square are rendered naturalistically, the artist has freed himself from the rules of perspective and trueness to life and has inverted the image of the houses on the right side with respect to the main constructions in the composition, as he had learned from the Cubists. The works dating from this period were described by Jim Jordan as “proto-Cubist” on account of the emphasis on the geometrised forms and abstract linear rhythms. According to this author, Klee’s open, linear Impressionism could generate, in drawings of complex geometric motifs, forms that had the luminosity and transparency of a superficial Cubism.